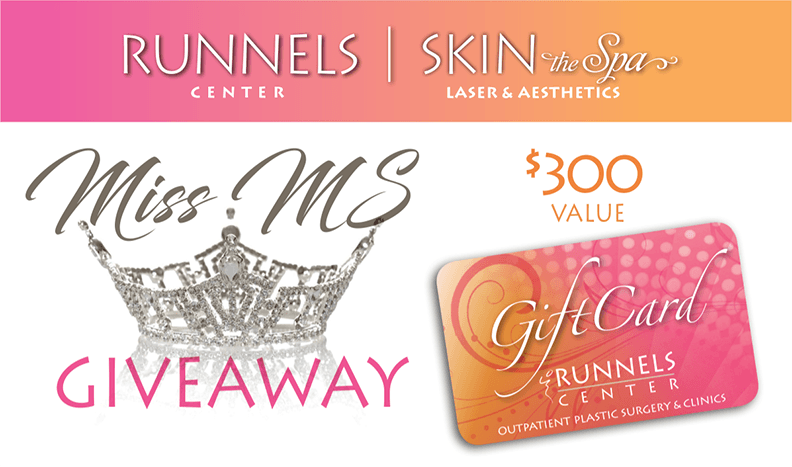 Enter to Win a $300 Gift Card from Runnels Center during our Miss Mississippi Giveaway! Watch the 2017 Miss Mississippi Pageant on Saturday, June 24th, at 8 p.m. on WLBT channel 3 and catch our interview during the pre-show! Click here to enter a drawing to win a gift card from the Runnels Center valued at $300! Winners to be announced. Good luck to all who enter and to the Miss Mississippi contestants! 20% off your choice on HydraFacial MD or the NEW SkinPen Precision microneedling treatment.